Yesterday in Washington, D.C. a team of volunteers delivered hard copy of the LaRouchePAC Special Investigative Report, “Robert Mueller Is an Amoral Legal Assassin: He Will Do His Job If You Let Him,” to all 100 Senate offices on Capitol Hill, and relevant committees. This comes amidst a wave of Congressional interrogations and statements about the culpability of a network across the Justice Department, FBI, and British intelligence, acting over recent years to attempt to thwart the Donald Trump candidacy and Presidency in particular, and to prevent any initiative in general, for the U.S. to have productive foreign relations with Russia, China and others, and to make a profound upshift in the U.S. economy. This attorney acted to make DNC payments to the Fusion GPS firm, to in turn pay the London-based Steele for the dirty dossier. Sussman was to appear yesterday for questioning, before the House Intelligence Committee. This demoted, former Associate Deputy Attorney General conducted operations with the [deep state] British and Fusion GPS, in addition to having his wife work for the latter in 2016. His appearance before the Senate Intelligence Committee has been postponed from yesterday, until later this week, because the Committee has just come into possession of new, relevant evidence. And there are more, lesser witnesses. 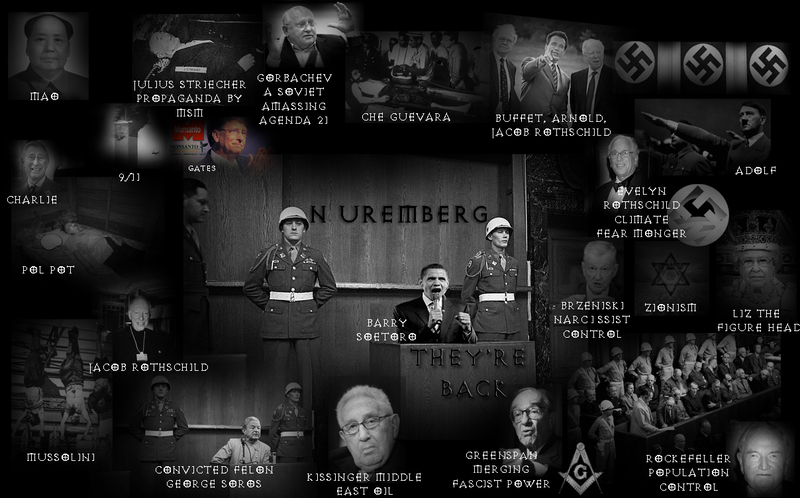 Rothschild ~ Ready For Nuremberg?